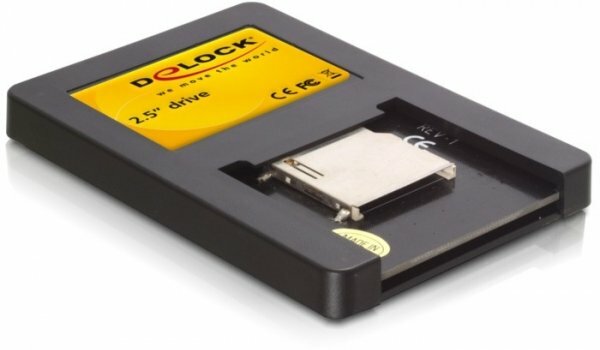 This internal 2.5" SATA drive enables you to connect a Secure Digital card to your SATA controller. The SD card can then be used just like any ordinary hard disk, including the option to install an operating system to and even boot it from card. The power is supplied by a 15-pin SATA power connector. Mobile Rack (Slot Mount) for 1x SATA HDD 2.5"